There are many bitcoin affiliate programs to choose from on the internet. At bitcoinfella I share some of the best cryptocurrency affiliate programs you can start promoting and make money online with. An affiliate program is platform that allows affiliates or users to promote their service or product on their behalf. In return the affiliates earn a commission from the affiliate program. There are several affiliate programs online, some of them will pay you via paypal. But here on bitcoinfella we’ll talk about the ones that will pay you in bitcoin. Which countries are restricted to promote? In some cases you might find that the affiliate program does not work in other countries. So you need to find out before promoting the affiliate program else you will waste your time and effort. Does it have a payment threshold? It might happen that the affiliate program has a high payment threshold and you have to wait for it before you receive your money. Find out what is the minimum threshold of that affiliate program. Which day of the month do you get paid? Most affiliate programs will pay you on a certain day of the month. That’s something you need to know before promoting it. Does it have reliable support? In some instances bitcoin affiliate programs might have a reliable support team. Use their service to ask more questions in case there’s something you don’t understand. If the affiliate program has support it shows how serious they are about their affiliates. Communicate with them especially in the beginning before promoting the program. What payment method do they use? There are many bitcoin affiliate programs that wont pay you in bitcoin, instead they will pay you via PayPal, Skrill or other payment methods. You should find out in advance which payment methods you will use to get your money. Do they allow you to withdraw your bitcoins or spend them within their system? Some few affiliate programs don’t let users withdraw funds instead they insist that you should spend the funds in the system. It always depends on what they are selling, you might spend the coins on valuable items or service. If you are looking for a safe way to store your bitcoins and altcoins then you should choose Ledger Nano S from ledger. This is a hardware wallet that gives access to your private key. Ledger’s affiliate program pays out 15% to its affiliates and the payout are in bitcoin. Trezor is a hardware wallet that also helps you secure your bitcoin and your private key. The trezor affiliate program pays in bitcoin to people who send customers who buy their wallet. Safety comes first and keepkey is a hardware just for that. With keepkey you can secure bitcoins, ethereum, litecoin and more altcoins. The keepkey affiliate program pays you $20 if you referred customers who make a sale. Coindirect is a peer to peer cryptocurrency exchange. You can trade bitcoins with other altcoins on this platform. They have a affiliate program that pays out 20% commission for life on any customer you refer. This makes it one of the best bitcoin affiliate programs since it pays out daily. Cex.io is a bitcoin exchange trading platform and you can also buy bitcoins on it. They accept Visa and Mastercard as payment methods. Cex.io affiliate program pays 30% for all exchanges made by your referred users. Luno is one of the fasted growing exchange in the world. As user you can buy bitcoins from your country using the bank transfer. Luno’s affiliate program pays out a one time 10ZAR for a user who buys 500ZAR worth of bitcoins. This is if you are in South Africa. Since luno is operating in Africa, Europe and Asia find out how much they will pay you if you send customers to them. Livecoin is another cryptocurrency trading platform where you can trade altcoins. You can earn up to 50% on their referral program for every deposit made by your referred user. Specrocoin is a all in one bitcoin business that allows users to open a bitcoin wallet, buy bitcoin with a credit card, trade altcoins and buy and use bitcoin debit cards. The spectrocoin affiliate program pays you 10% for customers who make a sale, referred by you. Similar to spectrocoin, cryptopay is a bitcoin wallet with options to buy bitcoin, and also buy their bitcoin plastic debit card. With their affiliate program you can earn 10% for every sale made by your referred customers. Wirex offers several types of bitcoin cards, from virtual cards to plastic cards. You can choose either a USD virtual card, USD Plastic Card, EUR virtual card, EUR Plastic card or GBP virtual or plastic card. You will earn $5 once your referred friend buys $100 worth of any cryptocurrency. And you will also earn $5 when your referred friend buys the Wirex Visa Card and makes their first purchase. Bitstarz is a top bitcoin casino where users can play over 1000 games. Users can deposit funds via bitcoin, mastercard, skrill and other altcoins. As an affiliate you earn 25% commission for ever deposit made by your referred users. Payments are paid on the 5th of every month. CloudBet is a all in one bitcoin casino and sportbook betting site. It has been operating since 2015. Users can play many casino games and bet on soccer. mBitcasino is been running since 2014 and users can play over 200 casino games. 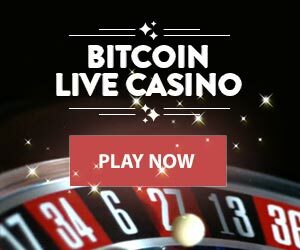 The mBitcasino is one of the fair bitcoin casinos around. The support team is always available to assist you if you need help. Another trusted sportsbook and bitcoin casino with fair odds. Invite casino players and earn up to 45% with Bitcasino. Their referal program pays out in bitcoin for a life time of the player. If you are looking for a bitcoin only affiliate program then Bitcasino is the one. Namecheap is one of the trusted domain registration and web hosting companies in the world. It accept bitcoin and other payment methods. Even though their affiliate program still payout in paypal you can invite users to host their sites on namecheap. The are no limit on earnings with namecheap, you will earn 20% for domain registration, 35% for both hosting packages and SSL Certificates. You will then earn 20% for WhoIsGuard, PrivateEmail and PremiumDNS. Bitcoin Web Hosting is a dedicated web hosting that accepts bitcoin payments. They have dedicated servers around the US, and some parts of Europe. As their affiliate you can earn Bitcoin, Cash, Free hosting or up to $100 per sale. Anonymous Ads is a bitcoin advertising network you can use to promote your business or you can publish anonymously. You can buy ad space in Ads then affiliates will promote your business on their websites. The Ads affiliate program pays 10% to the publishers. RunCPA is bitcoin cost per action advertising network. As a publisher you can earn bitcoin by placing ads on your website. Advertisers buy ads on RunCPA to promote their products. You earn 50% as a RunCPA affiliate marketer if you choose to promote their products. The minimum payouts in RunCPA is 0.005BTC and the bitcoins are sent instantly to your bitcoin address. Freebitco is a bitcoin faucet which you can use to earn free bitcoin, you can win small amounts of bitcoin ones every hour. The freebitco faucet is been arround since 2013 an is by far the most trusted faucet. You earn 50% for every win from your referrals. You also earn 25% of the daily interest your referrals receive.